We are a paper towel family. We use them to soak up spills in the kitchen, clean mirrors and windows, cook bacon in the microwave, dry pan fried food, and wiping out pans. They also serve as our napkins for every meal. All of these uses and more is why we love Scott Towel Choose a Size. Choosing the size of our paper towels means we can customize usage for our individual needs. We can try to be both economical and environmentally conscious by being more conservative with our paper towels. After all, I don’t need the old traditional size to help keep my produce fresh longer. I could go on and on about our normal household and kitchen uses, but Scott products are most helpful to me when I am crafting. 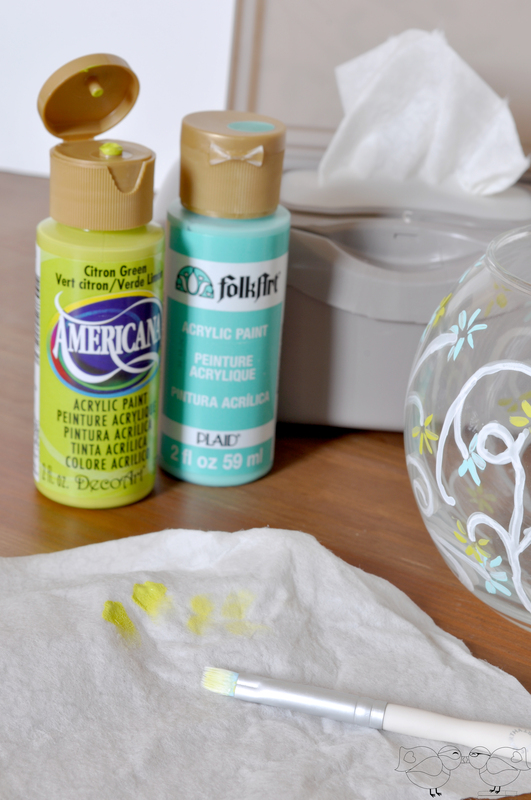 Therefore, I am sharing tips for making crafts easier AND CLEANER with Scott below. Here is what my workspace usually looks like. Alright, I will be honest. This is cleaner than usual. Normal would mean adding a lot of other items to the sides of my project space like paint bottles from old projects, a list of recipes I want to try, vinyl scraps, and a few mason jars. With every project, though, I always have on hand a roll of Scott Towels and a container of Scott Natural Wipes. Keep my workspace clean: I normally at my computer desk or kitchen table, so putting down a layer of Scott towels helps keep my workspace clean and paint free. I am klutzy, even in my crafting, so this is really important. Make a paint pallet: Fold a 2-piece towel twice into a thick base for acrylic paint. The towel holds up well against paint; I have been doing this for years and have never had paint come through. 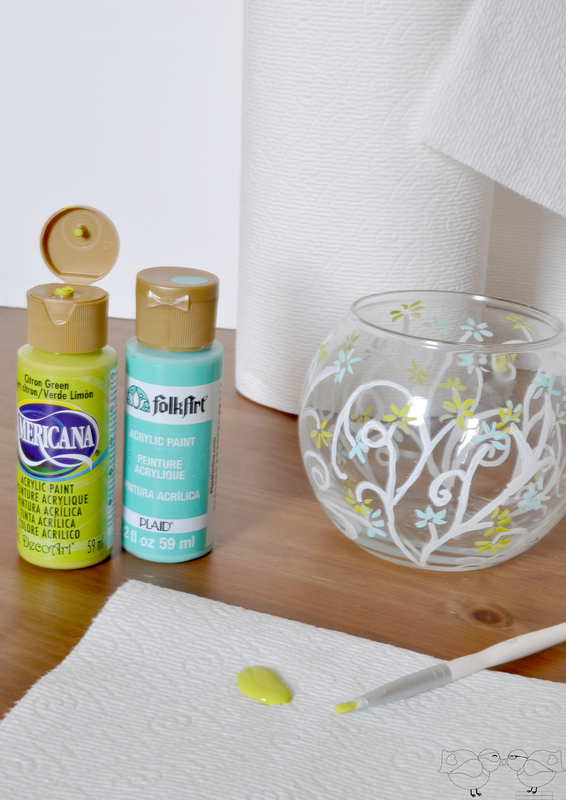 Clean glassware: A paper towel and rubbing alcohol is all I need to prep my glassware for paint or to remove a stubborn sticker from the bottom of the glass. Cloth can leave behind fuzzies. Scott towels leave my glassware perfectly clean! Dry spilled water: See my water bottle? I have spilled it… multiple times… with my computer and camera in the immediate area. Having towels on hand to quickly dry water, or paint or whatever else spills is a life saver. My version of crafting is a bit messy and hectic. Plus, have you seen all the cute ideas on Pinterest lately for crafting with paper towel or toilet paper rolls. This is upcycling at its finest! I have already told my husband to stop throwing away all rolls so I can try out some of these fun ideas. I especially love the intricate wall art people have made. Then, there is my FAVORITE new product: Scott Naturals Moist Wipes. So yes, this product is really meant for the bathroom and having a nice, fresh bum. I am sure it is fabulous for that. I love having it on hand for when my projects get sticky or I get klutzy and get paint on the table or myself. These wipes clean up the mess instantly which makes maintaining a clean workspace super easy! These wipes also work great for tidying up designs, too. I paint or draw on a lot of glassware and sometimes I accidentally go too far or in the wrong direction. I use a moist wipe and my nail to carefully “erase” any flaws in the design. It’s a craft magic eraser! PLUS, they are perfect for cleaning paint brushes. Take this little glass bowl I painted, for example. Instead of constantly running into the kitchen to clean the brushes, I was able to use a Scott Naturals Wipe to clean the brush and prep it for the next color. These wipes are also flushable moist wipes, made from 100% sustainable resources. Which means I can love my easy, time cutting product while also taking a green step. Win-win! 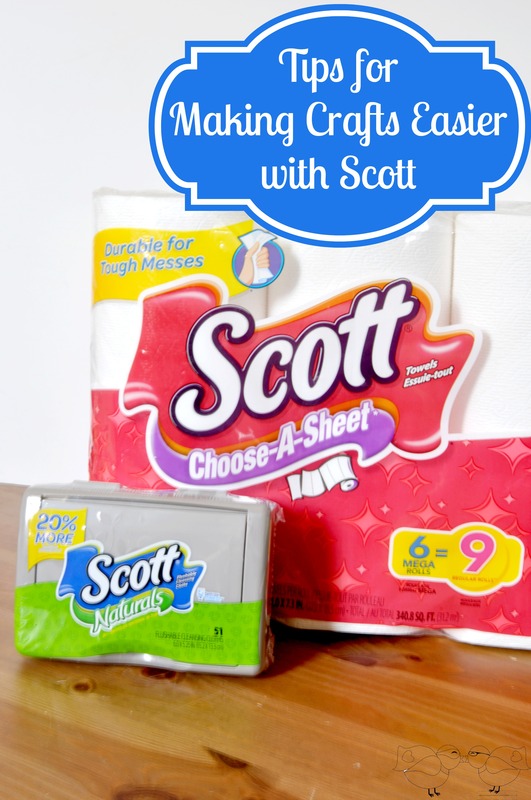 Check out Kmart’s Shop You Way Rewards for great coupon offers on Scott Tissue products this week! You should also check out Scott on Facebook. There page is full of great deals and tips. 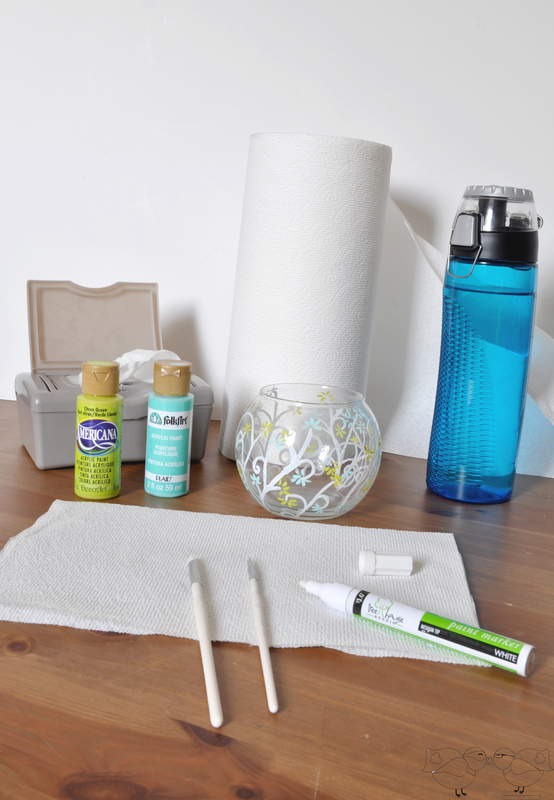 What are some ways you use paper towels or moist wipes for your DIY Projects? I would love to add them to the list!! Picture Perfect Mother’s Day Gift on SALE! Great craft tips! I was in this campaign too, and I loved it! Their products are top notch! They really have so many uses, don’t they! LOL I use my Scotch towels for that too! I always have a few around when I’m painting. That bowl is beautiful by the way! G’day! Always good hints and tips to learn! I love paper towels they help with all my kids and their messes. Scot is a great brand. So true about resting paint brushes–I usually use something like a paper towel or whatnot, but definitely better than getting paint all over my newly reupholstered table! !